As a homeowner, you can play an important part in the timely sale of your property. 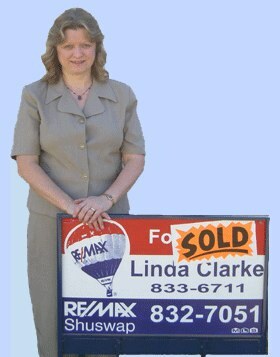 When you take the following steps, you'll help Linda Clarke sell your home faster, at the best possible price. The easiest and most reliable way to improve the appeal of your home is to enlist a quality home service professional. The right professional can help you get everything in order - from re-painting the kitchen to providing a thorough cleaning - so you can stay focused on more important things. Here's your chance to clean up in Real Estate. Clean the living room, the bathroom, the kitchen. If your woodwork is scuffed or the paint is fading, consider some minor redecoration. Fresh wallpaper adds charm and value to your property. If you're worried about time, hire professional cleaners or painters to get your house ready. Remember, prospects would rather see how great your home really looks then hear how great it could look "with a little work". Dripping water rattles the nerves, discolors sinks, and suggests faulty or worn-out plumbing. Burnt out bulbs or faulty wiring leave prospects in the dark. Don't let little problems detract from what's right with your home. Remember, potential buyers are looking for more then just comfortable living space. They're looking for storage space too. Make sure your attic and basement are clean and free of unnecessary items. Let the sun shine in! Put back your curtains and drapes so prospects can see how bright and cheery your home is. Turn on the excitement by turning on all your lights - both inside and out - when showing your home in the evening. Lights add color and warmth, and make prospects feel welcome. No matter how humble your abode, never apologize for it's shortcomings. If a prospect volunteers a derogatory comment about your home's appearance, let your experienced RE/MAX Associate handle the situation. Nobody knows your home as well as you do. But RE/MAX sales Associates knows buyers - what they need and what they want. Your RE/MAX Associate will have an easier time articulating the virtues of your home if you stay in the background. When prospects want to talk to price, terms, or other Real Estate maters, let them speak to an expert - your RE/MAX sales Associate. Your RE/MAX Associate will have an easier time selling your home if showings are scheduled through her office. You'll appreciate the results!